Among the several panels at the AMC Summit in New York this week was a Better Call Saul panel featuring creator Vince Gilligan and executive producer Melissa Bernstein, who both confirmed a character from the Breaking Bad world will be featured in the upcoming fourth season. For those hoping for Bryan Cranston's Walter White or Aaron Paul's Jesse Pinkman to re-surface on this Breaking Bad spin-off, you'll have to keep waiting, since this character isn't who you think it might be. Here's what Vince Gilligan had to say about this character, before Melissa Bernstein ultimately confirmed the character's identity. "There is a very important character. I'm not promising you ever saw this character, but there was a very important character nonetheless from the Breaking Bad era who we're going to meet this year. You're going to be impressed with him." In fact, the character in question was never seen in any of Breaking Bad's five seasons, although he was mentioned in the very first Saul Goodman scene in Season 2 of Breaking Bad. The character in question is Lalo, who Saul Goodman mentions in his first scene where he's being held at gunpoint by a masked Walter White and Jesse Pinkman, and Goodman frantically stated, "Lalo didn't send you?" When Pinkman says, "Who?" Goodman replies, "Oh thank God," although Lalo is never mentioned again. There is no indication who plays Lalo yet, but Gilligan had this to say about the fourth season as a whole. "Season four is so good. It gets darker, it gets richer. It's still got funny in it, but on the Venn diagram of Breaking Bad and Better Call Saul, the overlap in the center is getting bigger and bigger." Bernstein also added that there will also be, "a couple of new characters that we'll be reintroducing to the world. We probably don't want to say who yet, just to preserve the fun of that for the fans." Among the Breaking Bad characters that have already been featured on Better Call Saul include Mike Ehrmantraut (Jonathan Banks), Tuco Salamanca (Raymond Cruz) and Gus Fring (Giancarlo Esposito). As for what other characters may surface, it's anybody's guess at this point. AMC announced last month that Better Call Saul Season 4 will debut on August 6. 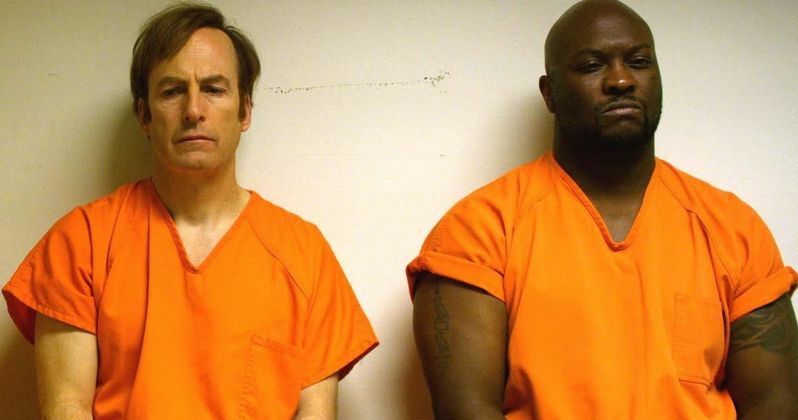 The official description for this new season released last month reveals that the death of Jimmy McGill's brother Chuck (Michael McKean), catalyzes Jimmy McGill's (Odenkirk) transformation into Saul Goodman." Jimmy/Saul will also start entering the criminal world more and more which puts his relationship with Kim (Rhea Seehorn) in jeopardy, while Howard (Patrick Fabian) becomes "deeply affected" by the death of Chuck. Meanwhile, Mike Ehrmantraut takes a more active role as Madrigal Electromotive's newest (and most thorough) security consultant. It's a volatile time to be in Gus Fring's employ, as Hector's collapse sends shock waves throughout the Albuquerque underworld and throws the cartel into chaos - tearing apart both Gus and Nacho's well-laid plans. While Gus changes course, Nacho finds himself in the crosshairs of deadly forces. You can head over to The Hollywood Reporter for their full report on the AMC Summit.